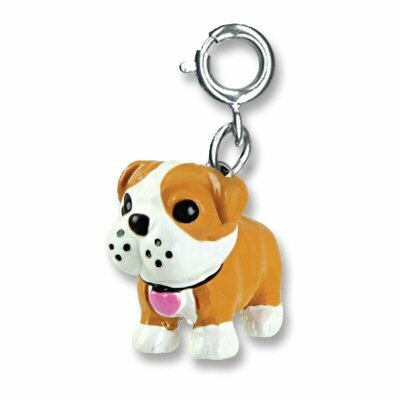 This fun Bulldog Charm by CHARM IT! is a wonderful celebration of a special pet or team mascot. With a 3-dimensional body of tan and white enamel, a black collar with pink heart tag, and a sweet face complete with adorable freckle detail, this delightful bulldog charm will be a perfect piece of personalization for your charm bracelet which you can add with the simple snap of a clasp. Baby Spike, a Cushy Kid bulldog plush puppy, has soft tan fur, white accents, and an adorable face that will win the heart of animal lovers everywhere.